Honey is a unique substance: it’s a blend of vitamins, minerals, amino acids, trace enzymes, and sugar. It’s quite different from any other sweetener on the market. Just one pound of honey takes 60,000 bees visiting 2 million flowers across 55,000 miles, which is incredible. Honey flavor and color can vary depending on what kind of flower was visited to make it. Honey is a power-packed food with an assortment of health benefits. According to the National Institutes of Health, honey is “hygroscopic, antibacterial, and anti-inflammatory.” It does not go bad and has been used as a medicinal remedy for thousands of years. Eating local honey may relieve seasonal allergies. Experts say that exposure to small amounts of the allergens found in flower pollen may reduce symptoms. Honey is also said to be a natural cough soother. With its antibacterial and anti-inflammatory properties, honey can be used as a natural treatment for wounds and minor burns. 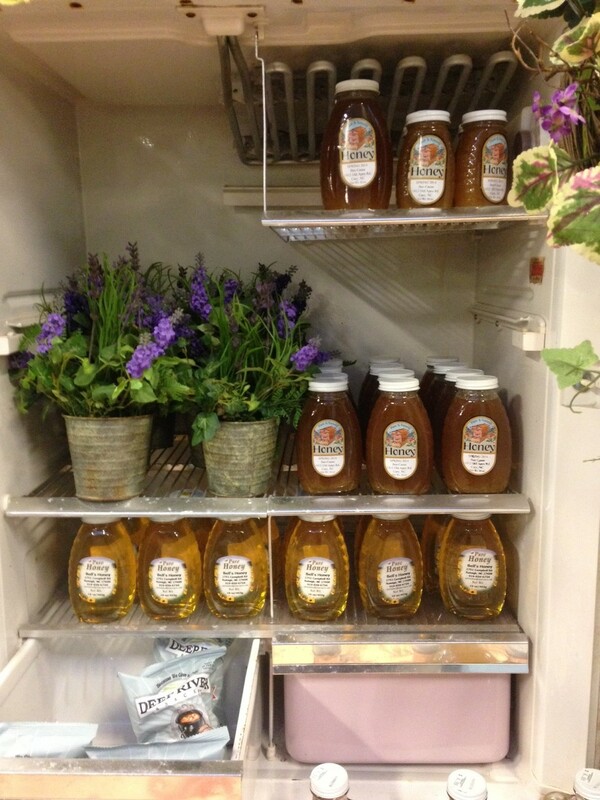 We have our own honey and Bell's honey in stock, come in and try some!